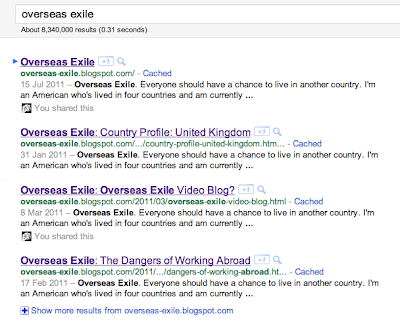 Overseas Exile: Tech: dynamically changing the blog description? Tech: dynamically changing the blog description? Facebook at least allows me to manually edit that. 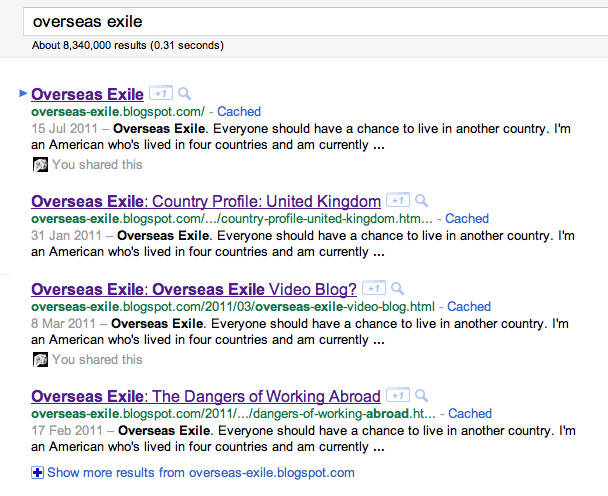 When you search for "Overseas Exile" on Google, you again get the same description for every post, even though that's clearly not what I want. I'd guess that Google has a Blogspot override that automatically uses the 'description' content in the absence of a meta description tag. Do you not have sufficient access to your templates to add some meta information? Facebook uses an FB-specific tag (check the booking.com source for "og:description") to provide the same content to Like button clicks. @Matthew: I can change my templates. The main issue is that I've so little time with a baby to really research it properly. Thanks for the tip about the og:description. I'll take a look when I can. Does Portland want to be Amsterdam?